Pardon the lack of a more appropriate All Hallows' Eve holiday entry, but I've been busy this weekend. Anyway, I hope this scan of another rare Halloween series tape can be some compensation. 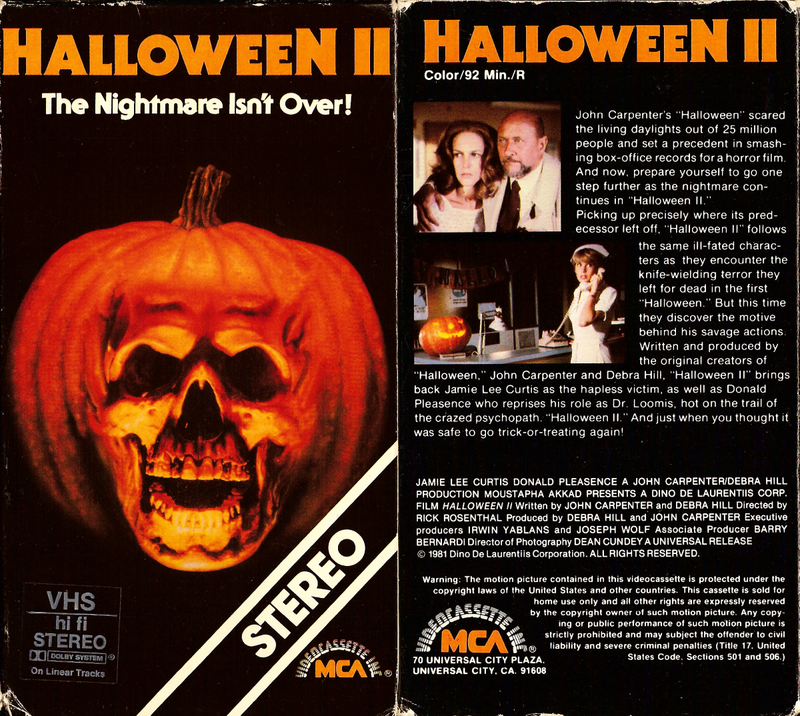 This is the stereo version of MCA's first stateside video release of this sequel from '82. Have a "scary" one, Jayson.